CURRENT VERSION: 1.2.1. NOW WITH 1.9.2.2 Security Patch Support !!! 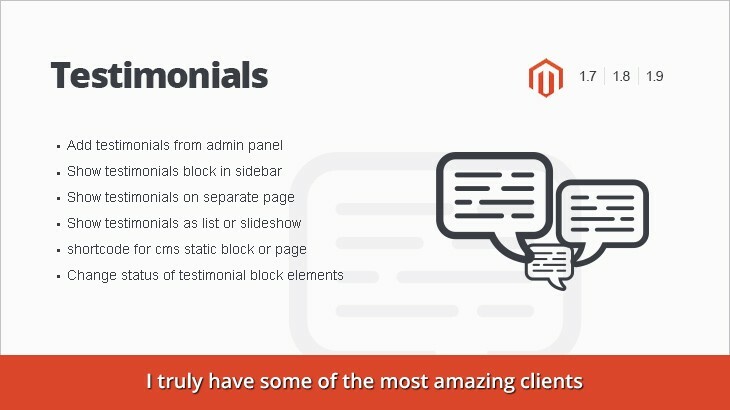 Magento Testimonials extension add testimonials functionality to your store. Let everyone know what your customers think about your store. You can add photo, email, website url and rating to your testimonials. 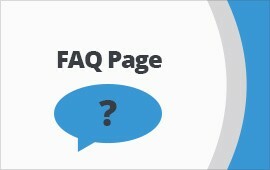 Show testimonials on sidebar or separate page. Switch between slideshow and simple list templates. Add testimonials shortcode to any cms block. Control what information you want to show in testimonials block. 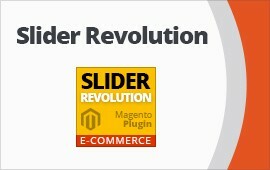 Allow limiting number of words on each testimonials that will be displayed on sidebar.